Excellent service from team from finance to service! Concerned about customer experience and service has gone above and beyond any needs that I’ve had. Managers are by the book and seem to me to be honest! This was the best car buying experience I have ever had. From the salesman to the finance manager to all of the staff. There wasn’t anything pushy about this dealership, they didn’t act like vultures and most importantly Me and my wife we’re treated like human beings instead of numbers or profit. They really care about you and getting you what you want. Les was and exceptional salesman and treated us like family. We will buy from Bachman again. If you’re in the market for a new or used great vehicle, see Les and tell him Chad and Tanya sent you. 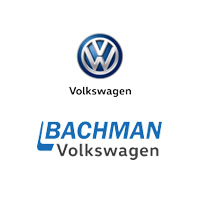 Bachman Volkswagen has been serving Kentucky with Volkswagen vehicles since 2000. Our Louisville Volkswagen dealership has one of the largest selections of new Volkswagen and used cars in Kentuckiana! We proudly serve the Lexington VW community. We have been honored with the Wolfsburg Crest Club Award, and we have also been recognized as a Volkswagen Circle of Excellence dealer! Visit us and see how Bachman Makes the Difference and why customers from Jeffersonville, Lexington, Clarksville, and beyond come to us for all their new and used car needs! Steve and Teresa Bachman have grown their business based on the Biblical principle: You must treat others the way you would want to be treated. That philosophy covers employees as well as customers. A business depends on its people to be honest with customers, always do the best job possible and when mistakes are made to rectify them as quickly and fairly as possible. The growth of Bachman Auto Group has proved this to be sound business philosophy. Located right off of I-64, our beautiful VW facility is impossible to miss. We carry one of the largest selections of new and certified pre-owned VW inventory in Kentuckiana. 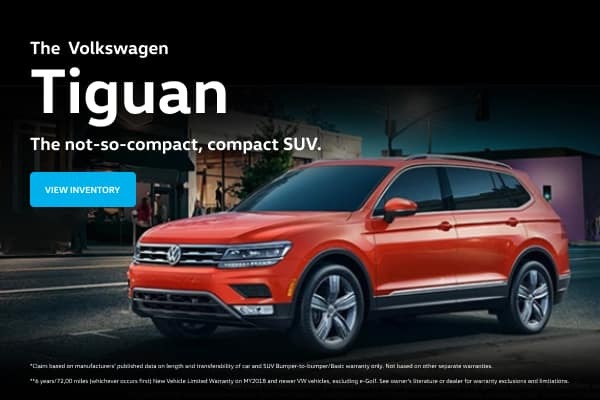 If you’re looking for a VW Atlas, Jetta, Tiguan, or the Passat, you won’t find a better selection anywhere than at Bachman Volkswagen. Check our specials for even more savings! If you have any questions regarding the selection of new and used VW vehicles give us a call at (502) 493-2920. In addition, our VW service and parts departments are top notch and are a great option if you’re looking for VW brake repair, oil changes, or any other service your Volkswagen needs. Don’t trust your VW to anyone other than factory certified technicians here at Bachman Volkswagen. Easily schedule your service online! The employees at Bachman Volkswagen are proud to serve the VW community and have proved it year over year by earning countless awards and recognition. It really helps that both our General Manager and our General Sales Manager have been with Bachman Auto Group since our VW Dealership opened their doors. Because of their leadership and knowledge, we are nationally ranked in Certified Pre-Owned VW Sales. With our unbelievable deals and superior Volkswagen service and parts, Bachman Volkswagen in Louisville has hundreds of satisfied customers. If you’re looking for a great VW dealership near Frankfort, Jeffersonville, Bowling Green, or elsewhere stop by! Give us a call at (502) 493-2920 or use our map for directions to Bachman Volkswagen.